Last week I found myself diving straight into my lipstick collection to learn that I have a huge love for berry red lips. There’s no doubt that this time of year I’ll be grabbing these colours more than any other; but just one red lipstick is never enough! 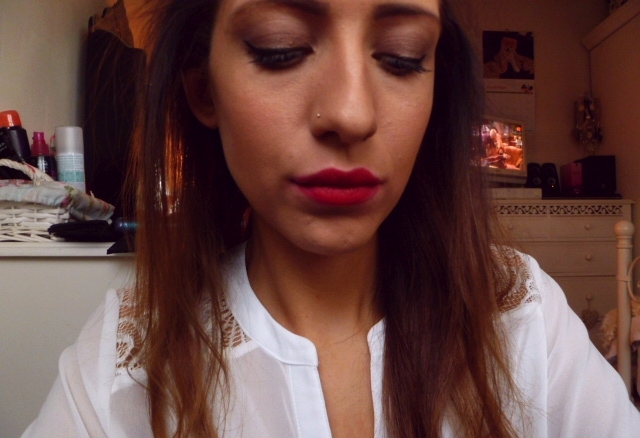 Rimmel Lasting Finish Matte Lipstick by Kate Moss in 107 – This lip colour has become a classic amongst most bloggers since its release. A purply/pinky toned red, I picked this up back in Autumn 2012 and wore it to death each year since… as you can see. I’m in desperate need of a replacement as I know I can’t say no to a matt lip, and I’m a sucker for Kate Moss’ lipstick collection as there are some lovely colours but still offer moisture for a matt finish (once blotted). 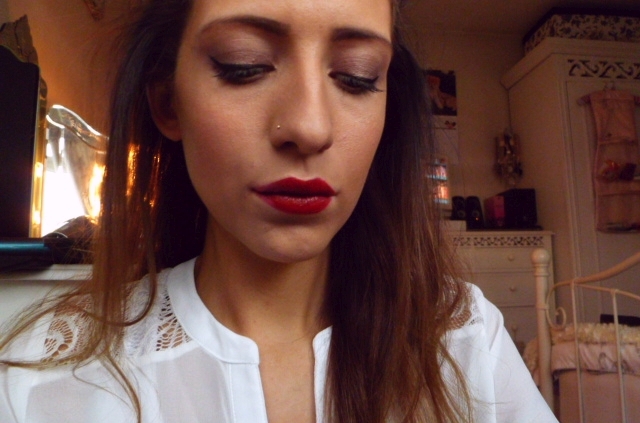 Rimmel Lasting Finish Lipstick by Kate Moss in 01 – A slight variation on the matt 107, this lipstick itself has a glossier finish and has more of a deep brown tone; an autumnal twist on the classic red. One of the features of Kate Moss’ collection is the scent; a sweet cherry smell that’s like Marmite. You either love it, like I do, or you hate it. 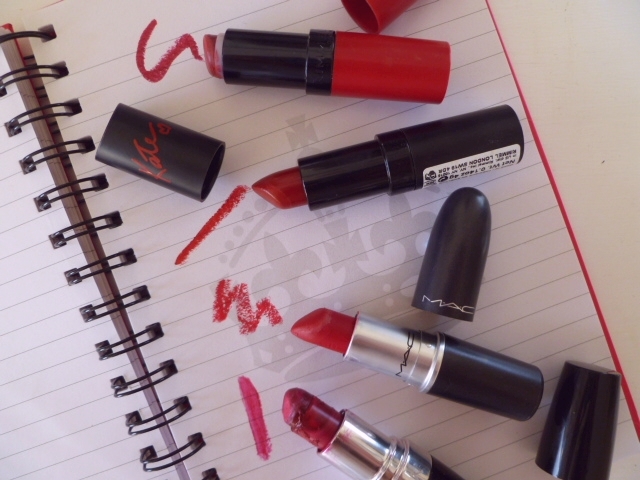 MAC Lipstick in Ruby Woo – I dedicated a post to this favourite of mine here, where I managed to get my hands on a little luxury find. As mentioned in the post, you can’t go wrong with a classic red. This one is a deep, ‘very matte vivid blue-red’, as described by MAC themselves. I find that blue reds are flattering, as they’re supposed to make your pearly nashers look whiter. Therefore being someone that’s conscious of their smile, this lipstick has become an important part of my collection. The matt finish makes me adore it all the more, and it’s the perfect red for the upcoming party season! 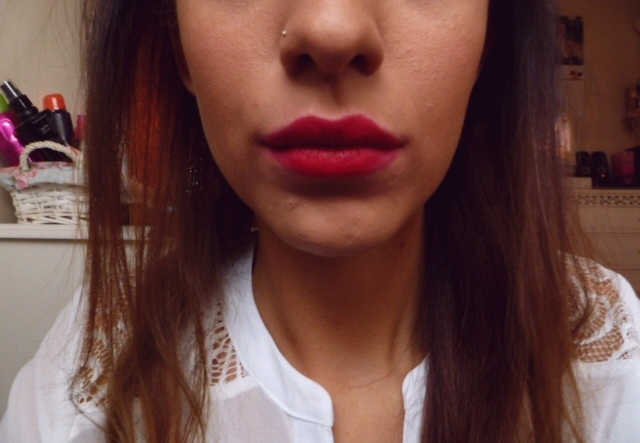 Avon Moisture Seduction Lipstick in Red Kiss – My mum kindly gave this to me a few years ago when it arrived with her order as a freebie, and she knew I’d wear it. Unfortunately I think it’s been discontinued since, but I’m sure it’s still available somewhere on the internet. As described in the title, this lipstick is uber moisturising, but doesn’t appear too glossy that the colour runs all over your chin. The swirling colours in the tube look beautiful, and the colour application is too. 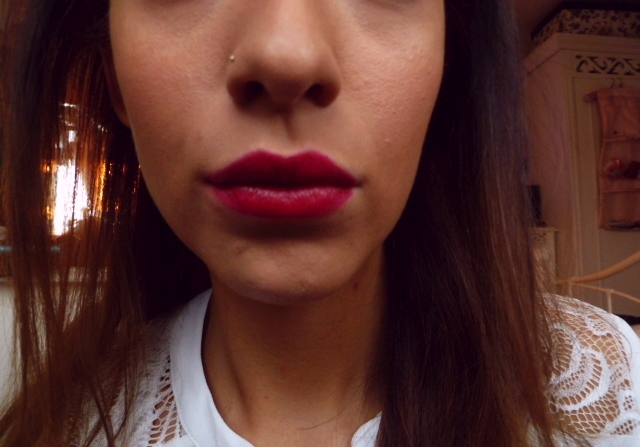 A more of a raspberry red, this one is perfect if you usually love to sport a pink lip. I’ve recently succumbed to a new berry lipstick; another from the Rimmel Kate collection… and I’ll be discussing it in an upcoming post on bold lips. Stay tuned! 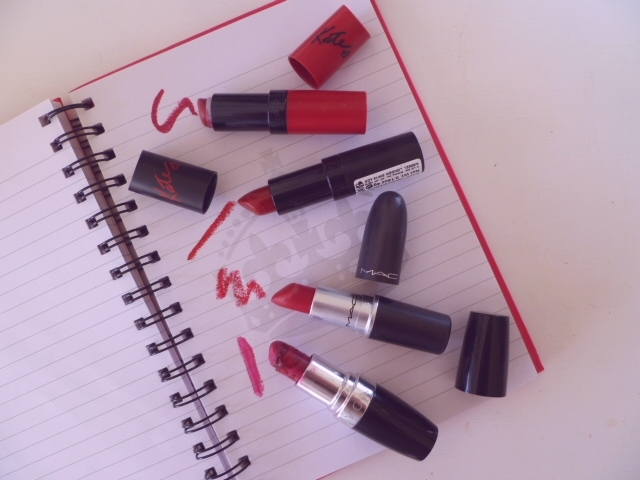 So these are my favourite berry red lipsticks to wear in autumn. What are your favourites? The Rimmel lipsticks are always good, and whenever I wear the 107 shade, I always get compliments. 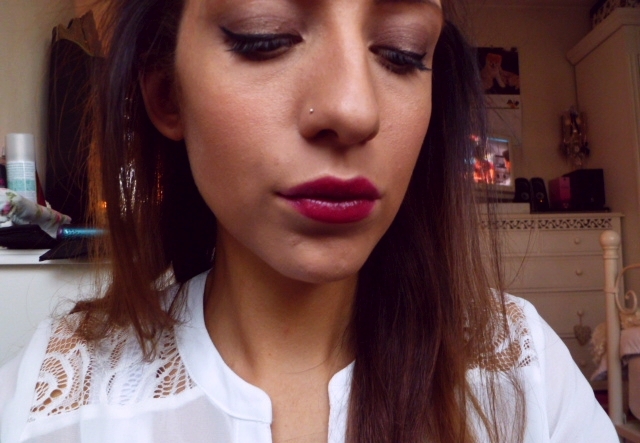 I really like this trend, although it’s quite difficult to wear bold lips on an everyday basis..